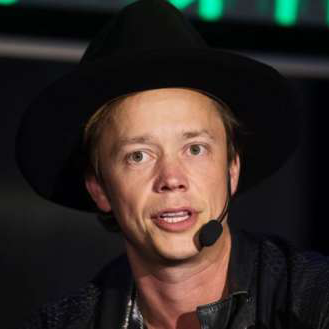 In this episode, Brock Pierce and I sit down to discuss the future of cryptocurrency, blockchain technology, bitcoin, and more. In the beginning of this episode, we talk about the Mt. Gox situation, how it began, and what is currently happening. We chat about the possibility of the creditors receiving the money they are owed and the victims being compensated for their lost Bitcoin. We discuss how this will have a major impact on the entire blockchain ecosystem and the way the media views cryptocurrency. Brock and I also discussed what the future of cryptocurrency holds and how it will have an impact on the rest of the world as we know it. We talk a bit about how bitcoin and blockchain technology have the potential to revolutionize the world around us and how this revolution will help us understand more about the role that we play on this planet, as humans. We also talk a little bit about the role Puerto Rico plays in the crypto community and beyond. You can learn more about the Mt. Gox situation at https://www.GoxRising.com. 1:40 - Who are you and how did you get started in crypto? 11:07 - what are you working on right now? 16:39 - What is Mt Gox and Why is it Relevant? 30:08 - What Kind of Impact will the new information about MT Gox have on the crypto space? 36:20 - Where do you think crypto is going in the next 5-10 years? 39:40 - What do you see the impact of blockchain technology on the entire world? 49:10 - What is going on in Puerto Rico?